ReadyBoost is a utility included in windows vista, 7 and 8 that can enhance reading performance from your hard drive. You can use USB thumb drives, secure digital (SD) cards or CompactFlash (CF) cards with ReadyBoost. ReadyBoost creates cache on storage specified by you from your external storage device. 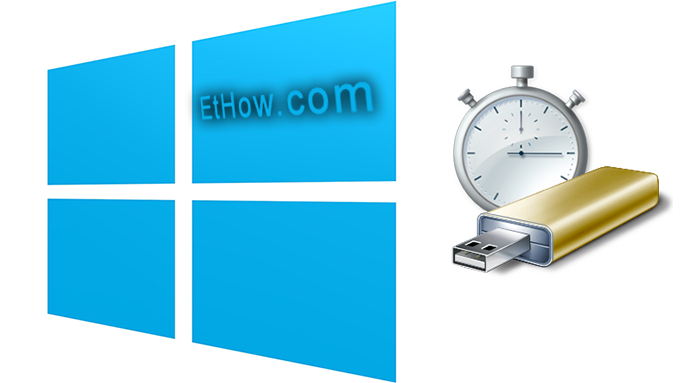 Caching will definitely improve your hard drive speed which in result it will speed up your windows. If you have FAT32 filesystem then you cannot have cache which has greater size than 4 GB and no greater than 32 GB if filesystem is NTFS (Minimum space that you can allocated to ReadyBoost is 256 MB). Windows SuperFetch algorithm is used by windows 7 to conclude which file should be cached. If you have SSD drive on which you are running windows vista, windows 7 or windows 8 then you should not use ReadyBoost because it will not improve too much performance (If you are using SSD, windows 7 will disable ReadyBoost by default). Ready boost is best for those who have hard drive with slower speed. You can use Windows Experience index sub score to decide should you use ReadyBoost or not. If your primary hard disk has subscore less than 4.0 then you should use ReadyBoost to improve speed and lessen burden on your hard drive. 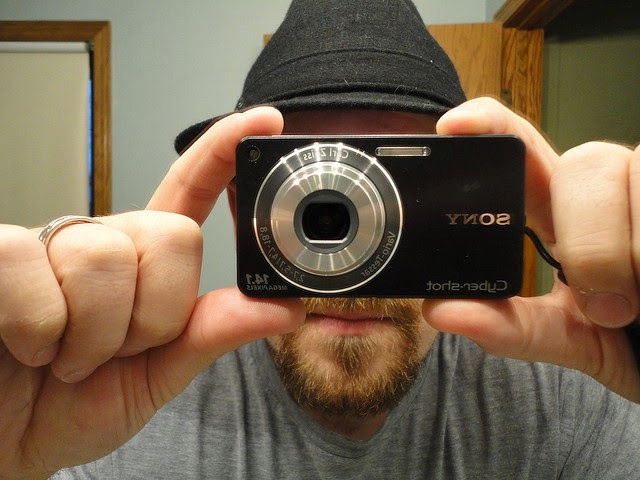 Your external flash drive, SD card or CF card should be able to be used by ReadyBoost. 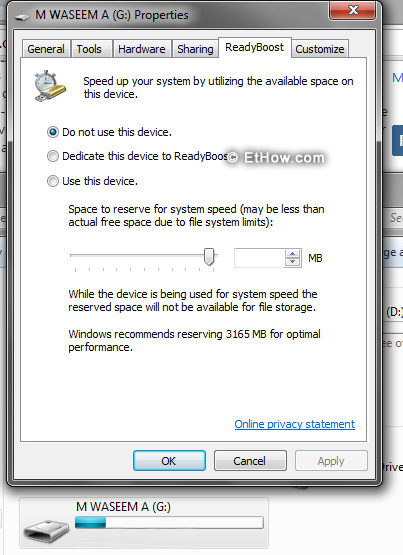 If you don’t know your storage device is capable of ReadyBoost then just test it (Windows 7 automatically test devices that you connect with your pc. 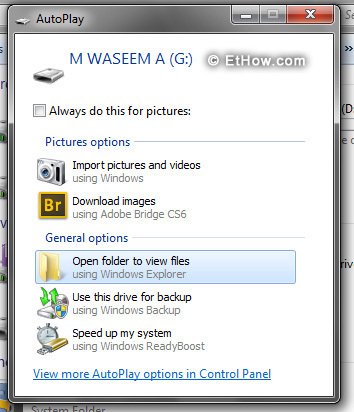 You can do this manually too because Windows does not scan flash drive everytime you connect your device). There are two methods that you can use to setup ReadyBoost for your windows. Connect your flash drive and let windows test it. If it is compatible with ReadyBoost then Windows will show speed up my system in autoplay options (You'll see a pop-up windows similar to windows in below image when you click on it). Just click on it and configure* it (see below for configuration). From my computer right click on flash drive that you connected to your system. Go to properties and select ReadyBoost tab. *Click on use this device and then adjust space that you want to dedicate for ReadyBoost. That space will vanish away from your flash drive (You'll not be able to store files on space that you specified for ReadyBoost). If you want to get your space back just make sure do not use this device is selected and click on apply and then OK.